You, too, can help our vulnerable sisters and brothers who are being taken advantage of. Please join the Texas bishops in reform efforts. Learn about what they said to the Consumer Financial Protection Bureau as it considers revising and strengthening federal regulations. In Texas, churches and cities are taking unprecedented action to protect those in need from payday loans. The Texas Catholic Conference of Bishops invites you to share The Ordinance, a 30-minute documentary film, with your parish and community. The Ordinance is a powerful story of how churches and nonprofits are partnering together to influence their local governments for the common good. In a time when political disillusionment is growing, this story serves as an important example of how the best, and worst, of our political system can unite a community. 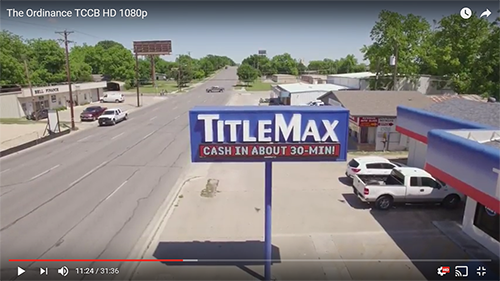 Sharing the film with your community is a powerful way to inspire and educate your members on how to engage with the issue of payday lending. This discussion guide is a useful resource to accompany the video.